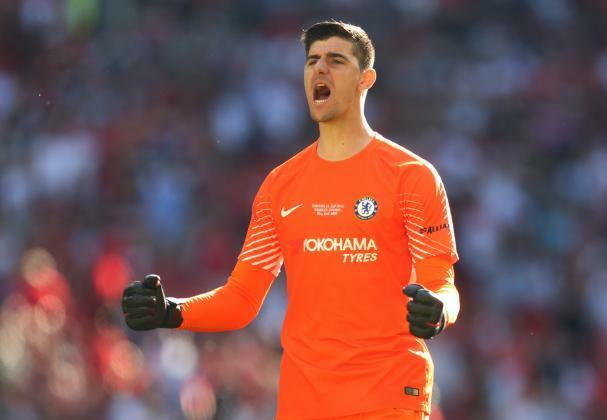 In the wake of Chelsea's FA Cup Final victory over Manchester United at Wembley on Saturday evening, Thibaut Courtois, speaking to BT Sport made it clear that Chelsea needs to invest in some big players this summer if we are to challenge Manchester City next season. Chelsea finished a whopping 30-points behind Manchester City in the Premier League and also missed out on finishing inside the top four for the second season in three years. It's nowhere near good enough and despite the FA Cup win, it's clear for all of us that Chelsea have work to do this summer to rebuild the squad and to try and close the gap to Manchester City. "Well, satisfaction because we won a trophy. I think that's what football is about, winning titles, and today is one and the FA Cup is a big trophy to win. I am very happy about that but obviously missing out on the Champions League is not what we hoped for, but we have to keep working next year and have a good season again and add some more trophies. After a season with ups and down, I think this feels really good. It is a good way to finish this year. You see how Manchester City and Manchester United are spending and working. If we want to aim for the top, we should do the same - obviously within the limits of what's possible. We'll see what's going on and I am sure the board will do what needs to be done." Like I said in the last weeks or months, I think we'll see after the World Cup whether I am a Chelsea player for next year. We'll see what is going to happen after the World Cup." Courtois is one of those players that has had to deal with constant speculation over his future throughout the course of the season. Granted, sometimes that because of what he has said when he is away with Belgium but generally the speculation linking him with a move back to Spain to be near his daughter has been a constant part of our season. It's clear that he is one of the best Goalkeepers in Europe and he is someone that we need to keep hold of if we are to consider ourselves as challengers for the top four next season. Overall this year I personally think that he could have done better on more than one occasion with the Barcelona game being his worst performance. The problem is that when you have a defence that has been as leaky as ours at times, the Goalkeeper stands little chance but as we witnessed on Saturday against United, he can also be the difference with his save from Marcus Rashford being a particular highlight. As for spending big money this summer as Courtois has asked for? I just do not see it unless we see a wave of players leaving the club who for one reason or another, have not featured much since they arrived. The Courtois situation/story will rumble on through the summer until after the World Cup when it will become clear what the situation is for him and for Chelsea. Let's hope he is still here at the start of next season!